Whether you want to relax at sea or have the adventure of a lifetime, a cruise on Royal Caribbean will be one to remember. Royal Caribbean Enchantment of the Seas. Founded in 1969, Royal Caribbean International is known for its countless industry firsts – such as rock climbing, ice skating and surfing at sea –that gives its passengers a one-of-kind experience. Empress class (Empress): This smaller ship journeys to Cuba, the Bahamas and the Western Caribbean. Sovereign class (Majesty): These ships are geared more toward families, yet there is plenty to do for passengers of all ages. Vision class (Grandeur, Rhapsody, Enchantment, Vision): The Vision Class ships are for people looking to relax and rejuvenate, lounging around one of the ship’s breathtaking pool areas. Voyager class (Voyager, Explorer, Adventure, Navigator, Mariner): You’ll never be bored on a Voyager Class cruise! There are climbing walls and mini-golf, along with an ice rink offering lessons and ice shows. Radiance class (Radiance, Brilliance, Serenade, Jewel): These ships boast glass walls, balconies and lifts to viewing areas that give guests panoramic views of land and sea. Freedom class (Freedom, Liberty, Independence): Passengers can do everything from surfing to swimming and boxing on these newer ships. Oasis class (Oasis, Allure, Harmony): Launched in 2009, these are the world’s largest passenger ships, featuring a park, a moving bar, a zip line and large suites. Quantum class (Ovation, Anthem, Quantum): These ships are the second largest class of cruise ships in the world, featuring 16 passenger decks, a sports deck with a surf simulator, an indoor pool with retractable roof, an outdoor pool with video screen, a wave pool, H2O kids zone and more. 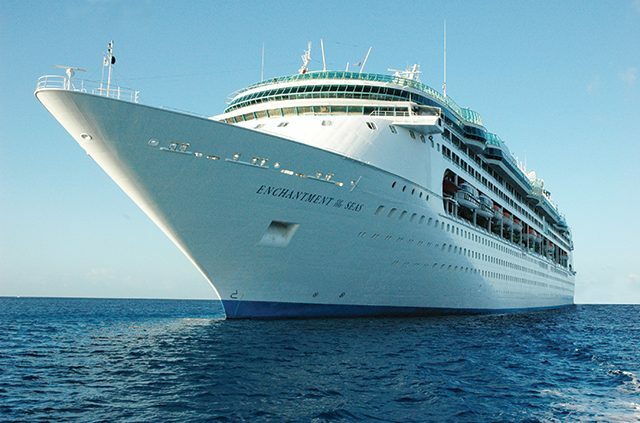 Royal Caribbean cruise ships visit a host of destinations, including Alaska, Asia, Australia/New Zealand, Bahamas, Bermuda, Canada/New England, the Caribbean, Cuba, Europe, Hawaii, the Pacific Northwest, the Panama Canal, the South Pacific and more. In addition, Royal Caribbean has partnered with Universal Studios for a unique Land & Sea Vacation. Families can enjoy sailing on either the Oasis of the Seas or the Majesty of the Seas on a three- or four-night Bahamas or seven-night Eastern/Western Caribbean cruise, both sailing out of Port Canaveral, Fla. 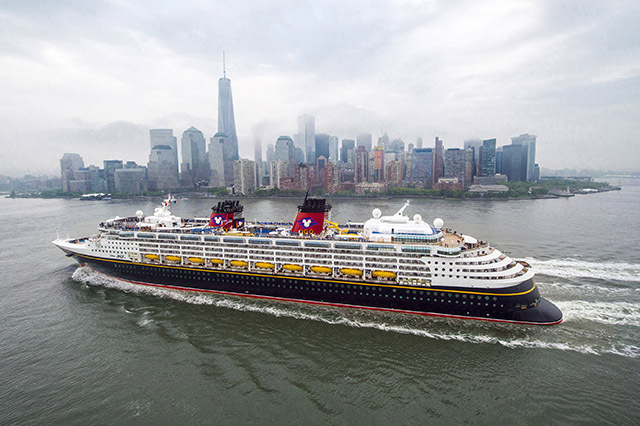 The cruises include two, three or four nights at Universal Orlando Resort, including hotel accommodations and park-to-park admission to Universal Studios Florida, Universal’s Islands of Adventure and Universal’s Volcano Bay. Families on select Royal Caribbean ships can enjoy the Dreamworks Experience, which allows you to meet favorite characters from “Shrek,” “Madagascar,” “Kung Fu Panda” and “How to Train Your Dragon.” There’s also trivia, scavenger hunts and dining options with your favorite characters. 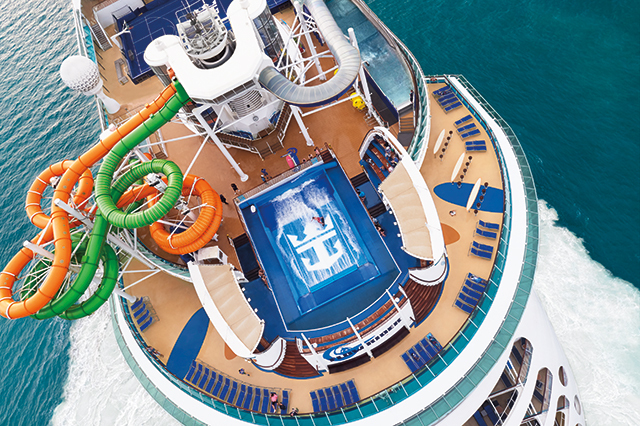 Guests are sure to have a blast on any of Royal Caribbean’s ships. Quantum class ships have the SeaPlex, the largest indoor active space at sea, where guests can roller skate, shoot hoops, attend circus school and ride in bumper cars. There is also the North Jewel, a jewel-shaped capsule that reveals breathtaking 360-degree views as you ascend 300 feet above sea level (also available on Quantum class ships). And the RipCord skydiving simulator lets passengers experience the feel of flying without leaving the ship. Other ships have zip lining, rock climbing, simulated surfing, ice skating and more. All of the ships boast beautiful pools and deck areas, as well as spas for rest and relaxation. There’s also a library where you can sit quietly and read or enjoy a game of cards with fellow cruise goers. And for those that want to exercise their mind while on vacation, there are language and dance classes, wine tasting, jewelry making, scrapbooking, guest lectures and more. Royal Caribbean cruise line offers its passengers unique on-shore excursions so they can really get a taste of their destinations. You can explore ancient civilizations as you climb mysterious Mayan pyramids in Cozumel, Mexico, fly over the gorgeous Palm Islands in Dubai, United Arab Emirates, take in the Great Pyramid of Giza in Egypt or swim with the turtles in Barbados. Tailored toward super fans, Royal Caribbean offers cruises for people who love Middle Eastern and Arab stars, reggae artists, hair bands, progressive rock bands and more. Royal Caribbean cruise ships serve up a variety of foods, while its award-winning dining program, My Time Dining, allows guests to select their own dining time and table companions on a daily basis. Passengers can also reserve a night (or more) at a specialty restaurant for a fine dining experience. You pay one cover charge and order anything off the menu, or sample from a la carte menus at select venues. There are also specialty dining packages so you can enjoy more than one experience. As for drinks (both alcoholic and nonalcoholic), there are different beverage packages to choose from. 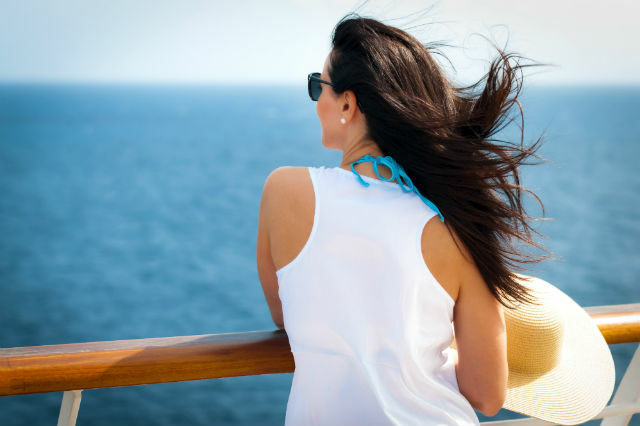 The cost of a Royal Caribbean cruise varies depending on the destination and length of the cruise. 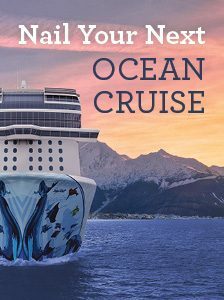 A three-night cruise to the Bahamas (leaving from Port Canaveral) starts at $219 per person, while a 19-night Ultimate Alaska & Canada Rockies cruise (leaving from Vancouver) starts at $5,915 per person. 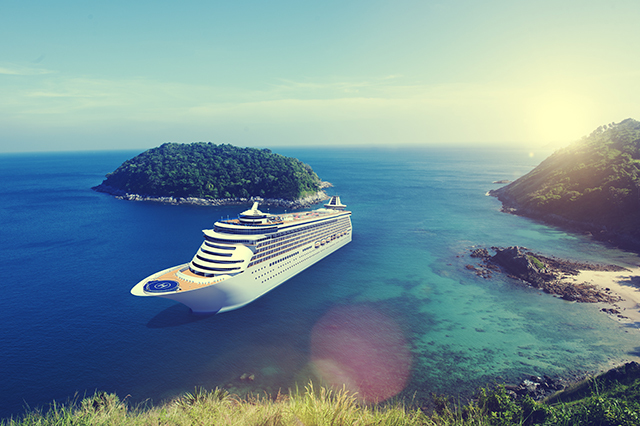 Search for deals on Royal Caribbean cruises with AAA. Have you ever sailed on Royal Caribbean? Tell us about your experience in the comments. Article tags: AAA, alaska, canada, caribbean cruise, caribbean cruise deals, caribbean cruise line, caribbean cruise ships, cruise deals, cruise ships, cruise to, cruises, dining options, dining program, entertainment, exercise, fine dining, fine dining experience, menu, orlando, royal caribbean, royal caribbean cruise, royal caribbean cruise line, royal caribbean cruise ships, spas, the cruise, things to do, universal studios, vacation, western caribbean cruise.